Literally the best hostel I have ever stayed in. The whole building was spotlessly clean and they actually had beds! Which most places in Japan don't. The staff is extremely nice/helpful and they also provide toast and coffee every morning! I would 100% stay here again. We loved staying in this location. It was so close to everything!! We also loved the takoyaki party with Mr Yano and the next morning watching the sumo practice with him. Fabulous experience!! The staff even helped me cook!! 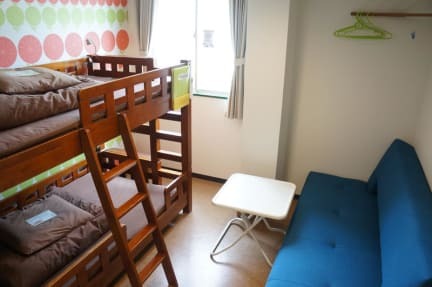 Loved this hostel :) made my stay in Osaka specially great! Thanks guys!! Good atmosphere and free breakfast in the morning. Not elevator so if you have big suitcases be ready. Fantastic hostel with cool staff, Mr yano is so fun and the atmosphere was great for solo travelers, near the station which is a big plus! Stay here! A really great place. The staff are all good people which really seemed to care about the hostel. The space is really good for chatting to other people and has one of the nicest atmospheres in a hostel I've stayed in for a long time. The area is great, right next to Fukashima station. The beds where comfortable and it was clean etc. I could live here quite easily. Many thanks. Great location, nice facilities, and friendly, helpful staff! When we booked, though, we didn't notice that it has no elevator. Our double room was on the top floor. Be mindful if you are bringing a large suitcase. This hostel was basic with little atmosphere. It’s not bad, but not best value for your buck in the area. I think what makes us special is our events where we help our guests to experience the local way of life. 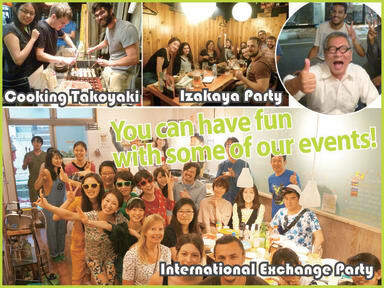 For instance, on Fridays we have an international exchange party where you can mingle with the locals and have a chat. Wednesdays and Sundays we take everyone to an izakaya, a Japanese-style bar, where guests can learn the Japanese way to drink. There's also walking tours to places off the beaten path. We're about 15-20 minutes' walk from the Kita area, which is one the main parts of downtown Osaka. I also recommend exploring our street, it's a quiet shopping area with lots of restaurants and bars.